Hello, today we discuss How to choose the right insurance company for your insurance policy? 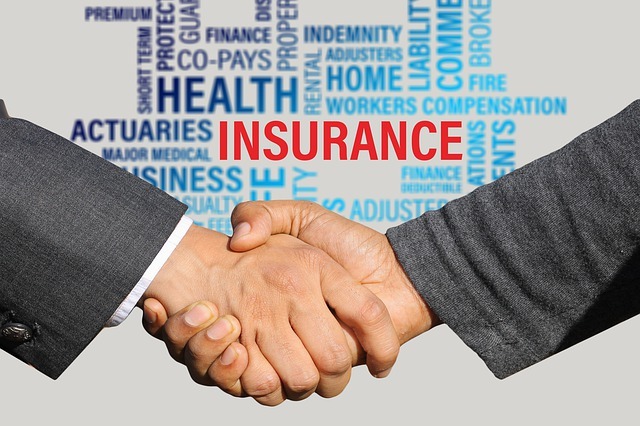 With our previous articles, we discuss what is insurance? Why we need it? principle of insurance. So I think you have a better idea of insurance. But when we are going to get an insurance policy for our business, property or life, first we have a question from what insurance company we get the insurance policy. Today there are a lot of insurance companies. Also, there is heavy competition among them. So they provide attractive insurance policies, facilities, and discounts. So people have a problem with what insurance company should I have a choice? Because they have to compare each insurance company to each other and have to choose the best insurer forgets the insurance policy. But when we ask from most of the people why are you choice that insurance provider to get your insurance coverage or what should I need to consider when choosing the best insurance provider? Most of them said, “I don’t know”. So today with that article you can know how to choose the best insurance company for your insurance policy? That is a very important thing that you should know. If there is a difficult claim situation for your insurer, then you may hear from your insurer, they cannot pay your claim because of their poor financial strength. Then what happens for you? Your money? Your loss? So, it’s better to choose the insurance company with high financial strength and financial health. For that, you can get some independent rating companies. Many insurance companies work with independent rating agencies such as Standard and Poor’s, Moody’s, Fitch rating, they review many factors and the financial results in order to assign a letter grade or score. According to the financial strength of insurance companies, rating agencies publish insurance companies’ grade, such as AAA, AA+, BBB. So it Is a good idea to consider ratings from multiple agencies about each insurance company when assessing an insurer. Insurance must be licensed in all countries which they sell policies. You can get details about their license information from many government organizations’ web sites, the central bank, and the board of insurance. That will secure your insurance and your money. Check Claim Settlement Ratio (CSR) of each insurance company for previous years. A high CSR indicates the insurance provider’s ability to settle a high number of claims during the previous years. It is better to choose the insurance provider with a simple and easy claim process. So go through the claim intimation clause carefully. In some case of vehicle accident or theft, you have to intimate your motor insurance provider immediately after the occurrence of a claim. Un the case of emergency hospitalization, it’s very important to intimate health insurance within 24 hours of admission. Insurance companies use a variety of methods to distribute their insurance policies. Someone sell policies through independent agents while others use captive agents. Someone sell their products directly without using the agents. Someone use a combination of the above two methods. So when choosing the insurance company to is better to consider about Distribution method of policy. When choosing the best insurance provider, it Is better to consider about their service. Service refer to the speed and accuracy of service, courtesy an insure displays when it responds to customers’ request. You can get idea about their services from their customers and from independent insurance agents. They will have recommended a better insurance company according to their experiences. When you are choosing the Right insurer, It’s very important to consider and search for those insurance companies’ customers’ feedback. You can get know about customer feedback from Insurers’ Official web sites, Social media profiles, review blog or web sites, newspapers and other people. With a study about customers’ positive and negative feedback, you can know how about their customer services, claiming process, issues related to services and claims. With that feedback, you can understand their insurance service very well. That can be helpful for you to choose the right insurance provider. When choosing the best insurance provider, it Is better to consider coverage. The coverage that you need depends on the nature and size of your business or property. Insurers provide a different type of coverages. So the understanding of your business and its process and properties of your insurer is very important. If your future insurer or agent must have a better understanding of your business or property. So select an insurance company that provides appropriate coverage for your personal or business needs. The price of an insurance policy can vary widely from one insurer to another insurer. Not because of the insurer, price/cost can be different because of different reasons. A lower piece of policy may mean you have less coverage. So More money can be out of your pocket when an occurs. Would you remember that old saying, “You get what you pay for?”. However, that prices can be different because of Rates of charges, the scope of coverage included, discounts and risk involve of the insurer. So considering the prices can be helpful for you to choose the best insurance provider. Also, many insurance companies offer different discounts. So it's very useful to find out what discounts apply for your policy. By considering the providing discounts from insurers’ companies, you can get an idea about the best benefit and return for your insurance policy which provides by your insurer. OK. Now you have a better understand about How to choose the right insurance company for your insurance policy and this Eleven Tips will help you for choosing the right insurance company. Thanks for provide a lot of details. Actually I had no idea about insurance. Thanks man. Nice information .hope it working for life time..Thank you!! Nice information..hope it works for life time.thank you!! Thankyou for your kindful information . No i can choose the right insurance company after reading this .